I am everything forbidden. I am vampire. Haunted by betrayal, Saint hides in the human world, giving his heart to no one and finding the only solace from his past in the arms of human women. 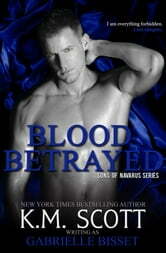 Now as the Archons begin their takeover of the vampire world, this Son of Navarus has been marked for death. Summoned to defeat the Archons by the world that shunned him, Saint must face his past and Solenne, the woman he loved and lost a century ago, for only in accepting her will his body and soul finally find salvation. Just as amazing as the first one. Saint's story was touching and heartbreaking yet inspiring all at same time.